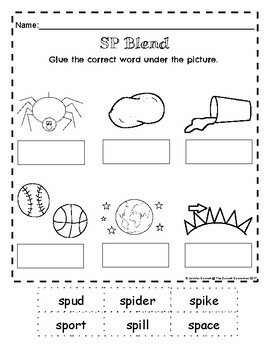 Practice reading and writing words with the SP blend with this worksheet packet. There are a variety of activities available for practice. What is in this packet? 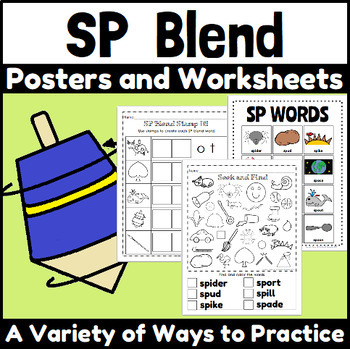 2 SP posters that show the pictures and words used in the packet. One in color and one in black and white. 2 Cut and paste activities. 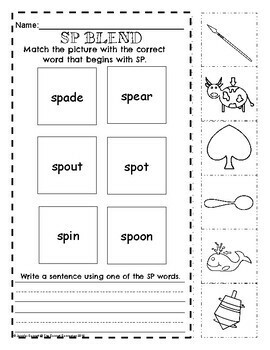 2 Write the word under the correct picture page. 2 Circle the picture that matches the word page. 2 Circle the word that matches the picture page. 3 Fill in the sentences with the correct word page. Two with picture prompt and one without pictures. 6 Spelling pages. One for filling in the blend, and two for spelling the word with stamps or magazine letters. 1 Seek and Find page to locate the pictures that start with the blend. 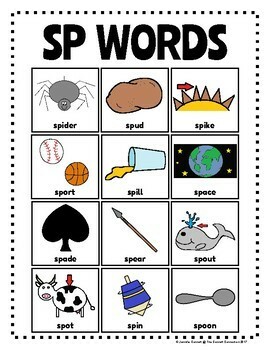 3 Cut and Sort words or pictures that begin with SP or do not begin with SP. Answer Keys for relevant pages.